You've helped make the first week of my Kickstarter campaign a success—we've blown through our funding goal and are scrambling to add new backer rewards to replace the ones you've all sold out. (Read the detailed update here). I wanted to share some news and updates about stretch goals, bonus rewards, and you can Ask Me Anything at 5:30 EST today (Wednesday, March 25th) on Reddit. Our rewards are running out! Since many have already sold out, we’ve added a few new ones: a special reward for Kickstarter creators including a mini digital book and a call with our campaign team, as well as a package called “I want everything” which includes many of the most highly-requested rewards in one package. We hit our first stretch goal of 3000 backers last Friday! Thanks to our corporate sponsor, Pivotal Software, everyone who backed the campaign is eligible to attend one of 11 LG workshops in cities around the world. Workshop content will be developed by Pivotal’s Janice and Jason Fraser, based on the The Leaders’ Guide, with input from me. And we added a new stretch goal today. When we hit 4000 backers, every backer of the campaign will receive access to the Lean Content course, created by award-winning filmmaker Ondi Timoner and me. It's become a cliché for an executive at a large company to promise to run it like a startup. Yet in his influential 2011 book The Lean Startup, startup founder and business guru Eric Ries argued that businesses of any size and age — and perhaps even nonprofit organizations and governments — can still learn a lot from management methods pioneered in Silicon Valley. On Monday, Ries began work on his next book project. Fittingly, he started it off with a Kickstarter campaign. The campaign achieved its $135,000 fundraising goal on Tuesday, and by Thursday morning Ries had more than $170,000 in pledges. "I'm a believer that this is the future of publishing," Ries told me on Monday shortly after the campaign began. For Ries, the Kickstarter campaign isn't just about raising money; it's also a way to solicit feedback from his future readers. Pledgers will be able to participate in a closed online community for aspiring entrepreneurs. Ries wants to learn what they want from the book and — more important — gather examples of real-world business successes and failures that he can incorporate into the book. Ries' big idea is that the key to success for a startup — or any organization trying to innovate — is to learn quickly and act on the knowledge gained. While that might sound obvious, doing it often requires people to do many things that are counterintuitive. Ask me anything! Check out my Reddit AMA tomorrow at 5:30 EST tomorrow (Wednesday, March 25th) here. I’m updating the campaign page several times a week with news and rewards as well as behind-the-scenes looks into the campaign itself. You can check it out here. We live today in a golden age of writing and resources for entrepreneurs. There are books on most (but not yet all) of the critical topics about startups, and of course a massive amount of information on blogs and Twitter. Elite VCs - from Brad Feld to Reid Hoffman to Peter Thiel - write books and tweet constantly (or at least one does). As the ecosystem develops, this information is getting more and more specialized, which is awesome. But it was not always this way! Even 10 or 15 years ago, when I first cut my teeth as an entrepreneur, there were very few things to read. Mostly we read business books designed for established enterprise and tried to read through the lines to find ways to apply their wisdom to startups. 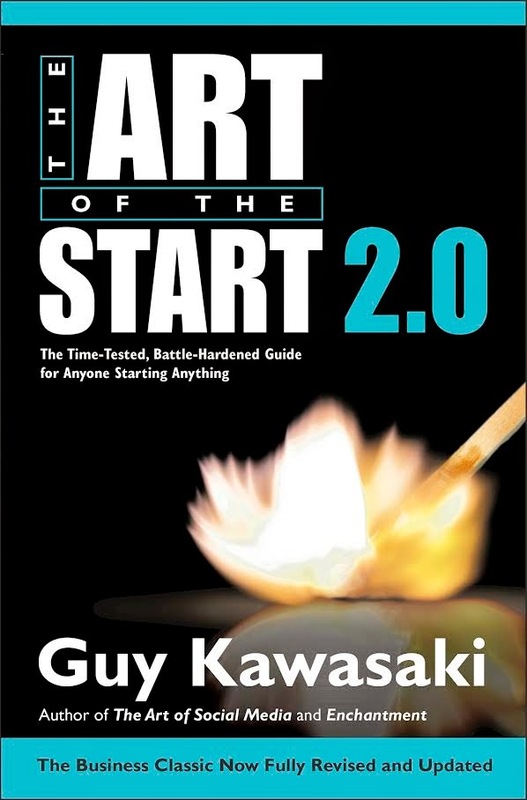 But there was one exception, Guy Kawasaki's The Art of the Start. It was part aphorisms, part wisdom, part general life advice. It was part Silicon Valley insider and part marketing huckster. It wasn't meant to be an encyclopedia or a work of theory, but it had one overriding virtue: it was useful to actual practicing entrepreneurs like me. So I'm glad to see Guy has published a new edition of The Art of the Start, and I'm actually grinning that I get to share one of my favorite funny excerpts with you, about the lies so many entrepreneurs tell. PS. If you're going to be at SXSW, catch Guy's talk and book signing. The following is an excerpt from Guy Kawasaki's The Art of the Start 2:0. In a typical day an investor meets with two or three startups and sees an­other four or five executive summaries. Each company claims to represent a unique and earth-shattering opportunity with a proven team, proven tech­nology, and proven market. No company claims to be a bunch of losers who don't know what they're doing. For the sake of investors who are tired of hearing the same old lies and for the sake of entrepreneurs who hurt their cases by telling them, here are the top ten lies of entrepreneurs. Study them so you can at least tell new lies. 1. "Our projection is conservative." Your projection is conservative, but you claim you'll be doing $100 million by year three. In fact, the com­pany is going to be the fastest-growing company in the history of mankind. The truth is, you have no clue what your sales will be, and I fantasize about the day an entrepreneur tells me, "Our projection is a number we're picking out of the air. We're trying to make them high enough to interest you, but low enough so that we don't look like idiots. We really will have no clue until we ship the product and see how it's accepted." At least that entre­preneur is honest. 2. "Experts say our market will be fifty billion dollars in five years." Don't cite numbers like this and expect to impress investors. No one ever comes in and says, "We 're in a crappy little market." Everyone says the same thing. It's much better to catalyze fantasy. 3. "Amazon is signing our contract next week." Traction is good. It makes you fundable. But until a contract is signed, it's not signed. If the in­vestor asks about the contract the following week, and it still isn't signed, you've got a credibility problem. In five years I've never seen a contract signed on time. Talk about Amazon and your big deals after they're done. 4. "Key employees will join us as soon as we get funded." Let me get this straight: You're two guys in a garage, you're trying to raise a few hun­dred thousand dollars, your product is twelve months from completion, and you're telling me that these well-known people are going to resign their $250,000-per-year, plus bonus, plus stock-option jobs to join your company? When investors contact these key employees who are supposedly set to join a company, the response is often, "I vaguely remember meeting the CEO at a cocktail party." If you're going to tell this lie, make sure that these potential employees are locked and loaded and ready to join. 5. "Several investors are already in due diligence." That is, "If you don't hurry, someone else will invest in us, and you won't have the chance." This works well in times of irrational exuberance, but during other times it is a laughable tactic. The reality, and what the listener is thinking, is, You've pitched a few other investors, and they haven't gotten around to rejecting you yet. The odds are that the investors know one another better than you know them. They can call up their buddies and find out how interested another firm is in your deal. To pull this lie off, you'd better be either a great bluffer or smokin' hot, or you won't have a chance against the investor network. 6. "Microsoft is too old, big, dumb, and slow to be a threat." Micro­soft, Oracle, Apple, Facebook... Pick a successful company. Many entre­preneurs think that by making such a statement, they are (a) convincing the investor of their moxie, (b) proving that they can defeat an entrenched com­petitor, and (c) establishing a competitive advantage. In reality all they are showing is how naive they are about what it takes to build a successful business. There's a reason why people such as Larry Ellison can keep the San Jose airport open late for his private jet while you and I are munching peanuts on Southwest Airlines. And it's not because his company is old, big, dumb, and slow. It's scary enough to investors that you are competing with an estab­lished company. Don't seal your coffin by showing how clueless you are by denigrating such competition. Instead, explain how you can avoid the com­petition by serving different segments or fly under the competition's radar. If nothing else, acknowledge that you're undertaking a high-risk and diffi­cult venture, to at least indicate that you're aware of the magnitude of the challenge. 7. "Patents make our business defensible." Patents do not make a busi­ness defensible. They might provide a temporary competitive advantage­ particularly in material science, medical devices, and biotech companies--but that's about it. By all means, file for patents if you can, but don't depend on them for much more than impressing your parents unless you have the time (years) and money (millions) to go to court. When talking to investors, the optimal number of times to mention that your technology is patentable is one. Zero is bad because it implies you don't have anything proprietary. More than one mention means that you're inexpe­rienced. 8. "All we have to do is get one percent of the market." This is what venture capitalists call the Chinese Soda Lie. That is, "If just one percent of the people in China drink our soda, we will be more successful than any com­pany in the history of mankind." There are problems with this line of reasoning: First, it's not that easy to get even 1 percent of the people in China to drink your soda. Second, few entrepreneurs are truly going after a market as large as all the people in China. Third, the company that came in before you said something similar about another market, and so will the company after you. Fourth, a com­pany that is shooting for only 1 percent market share isn't that interesting. 9. "We have first-mover advantage." There are at least two problems with this lie: First, it may not be true. How can you know that no one else is doing what you're doing? As a rule of thumb, if you're doing something good, five other startups are doing the same thing. If you're doing something great, ten are. Second, first-mover advantage isn't all that it's cracked up to be. Being a fast second might be better--let someone else pioneer the concept and learn from their mistakes--then leapfrog them. 10. "We have a world-class, proven team." The acceptable definition of "world-class" and "proven" in this context is that the founders created enormous wealth for investors in a previous company, or they held positions in highly respected, large companies. Riding the tornado of a successful company in a minor role, working for McKinsey as a consultant, or putting in a couple of years at an investment bank doesn't count as a proven entrepreneurial background. Excerpted from The Art Of The Start 2.0: The Time-Tested, Battle-Hardened Guide for Anyone Starting Anything, in agreement with Portfolio, an imprint of Penguin Publishing Group, a division of Penguin Random House LLC. Copyright © Guy Kawasaki, 2004, 2015.